A British ministry vehicle used by former Prime Minister Harold Wilson. 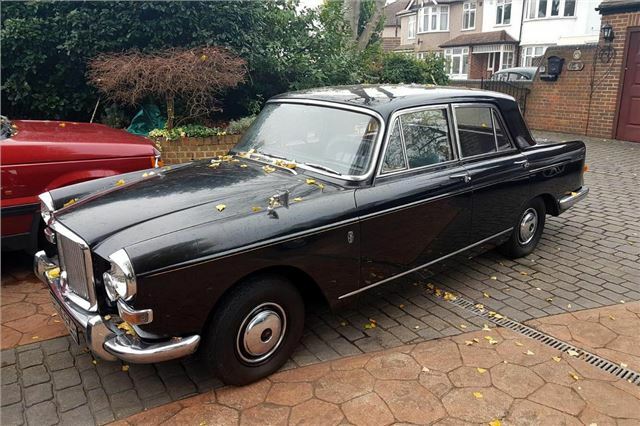 It was first registered on the 2nd October 1967 and supplied new in Ministry Black livery with gold coachlines and was fitted with rear seat belts from new. There is an accompanying service history and the odometer reads a staggeringly low 8500 miles which is believed genuine. The subject of many articles and supplied with a good history file and new MOT, SMT 594F is a superb piece of motoring and political history.